Nominations are due Friday, Jan. 13. Alumni nominees are first eligible for selection 10 calendar years following graduation. As Lenape High School celebrates the 58th Anniversary of the school, inductees are being sought for the third class of the Lenape High School Academic Hall of Fame. The Academic Hall of Fame was established to honor the outstanding accomplishments of members of the Lenape Family, such as alumni, former staff and supporters. 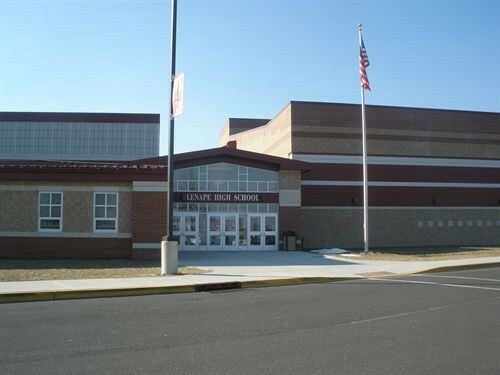 Founded in 1958, Lenape High School promotes being built on “a foundation of excellence,” which the school seeks to continue to this day and which will be honored by the Hall of Fame. The third class of the Lenape High School Academic Hall of Fame will be inducted at the school’s annual Academic Awards Program on May 31, 2017. Inductees’ names will be permanently displayed on a plaque at the high school; a visual and positive example to generations of Lenape High School students as they strive to master the rigors of academia, social and emotional growth and character development. Similar halls of fame have been established at Shawnee and Cherokee High Schools. In the future, Seneca High School will establish a Hall of Fame and new “classes” will be inducted every five years at each high school. This Hall of Fame recognition is separate and distinct from the Athletic Hall of Fame at each of the high schools. Inductees will be selected based on at least one of the following criteria: job-related achievements; professional honors and awards; professional affiliations/publications; civic or community involvement; personal achievements/accomplishments; positive impact on the communities in the Lenape Regional High School District; and other appropriate qualifications. Alumni nominees are first eligible for selection 10 calendar years following graduation. The deadline for nominations is Friday, Jan. 13. Nominees will then be invited to complete an application form by Feb. 15. A diverse and broad-based selection committee consisting of members of the Lenape Family will review all nominations and select inductees for the third class of the Lenape High School Academic Hall of Fame by March 1, 2017. Anyone may submit a nominee for consideration. Nomination forms are posted on the LRHSD website, www.lrhsd.org, the Lenape Alumni website, www.lenapealumni.org, and are available at the main office of Lenape High School and at each of the district high schools. To request a form by mail or for questions concerning the Hall of Fame, contact Amanda Cassel, (609) 654–5111, ext. 3353; via email at acassel@lrhsd.org, or by mail at Lenape High School Academic Hall of Fame, 235 Hartford Road, Medford, NJ 08055.